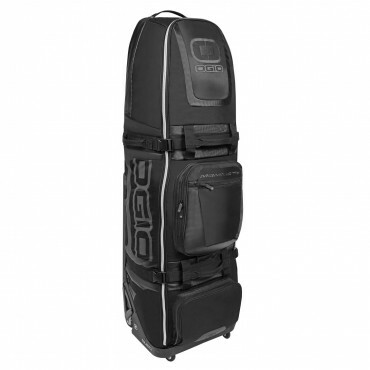 Sports Illustrated proclaimed this new four-wheeled travel bag “beyond cool, even for this innovative outfit.” Golf Digest says, “Just as JetBlue seemingly solved every nitpick of air passengers, so too has Ogio with golf travelers, thanks to input from its team of out-of-the-box thinkers.” Why all the buzz? Simply put, the Mammoth makes golf travel mindlessly simple. A firm-yet-flexible construction helps this durable bag stand upright, while four spinning wheels turns it into a veritable dance partner – gliding forward and backward, or side to side with the simple touch of a finger. And the pièce de résistance? 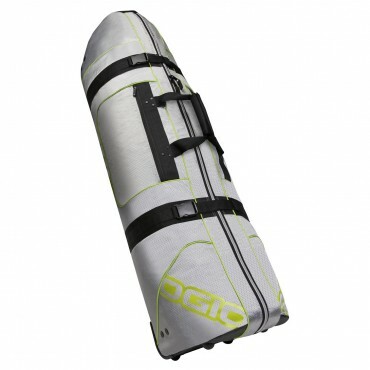 A detachable shoe bag that comes with you while your caddy whisks away the rest of your gear. 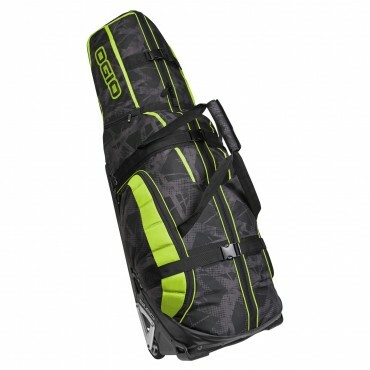 The OGIO Monster travel bag, an oversized home-away-from-home for valuable golf gear, is designed to withstand extraordinary punishment, thanks in part to its SLED (Structural Load Equalizing Deck) technology. 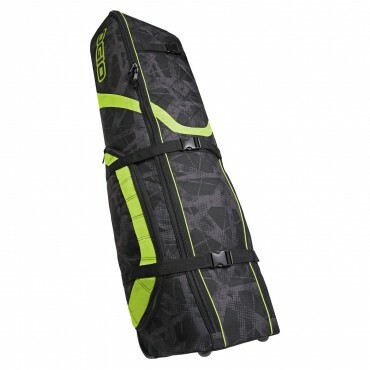 With oversized wheels to facilitate easy maneuvering, and a padded ballistic nylon and tarpaulin exterior, the OGIO Monster is equipped to manage tour bags, yet its internal cinch straps can secure even the lightest of stand bags.